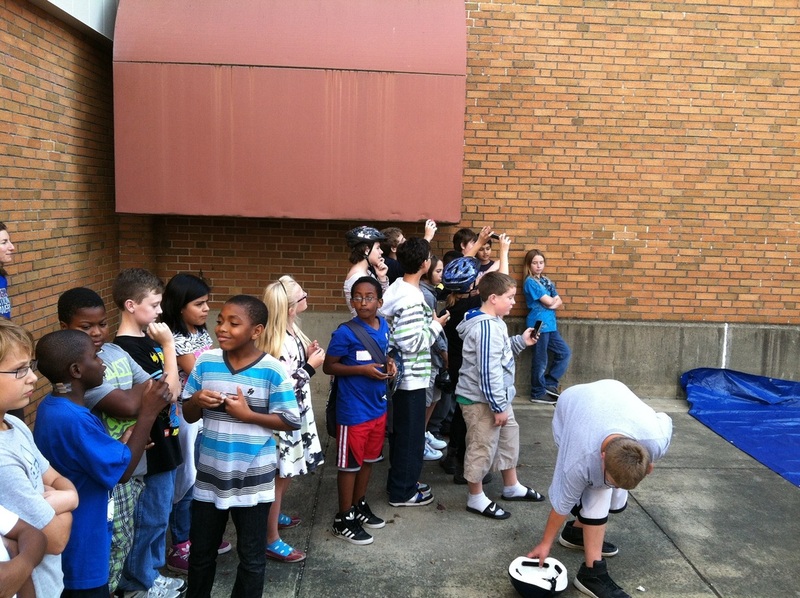 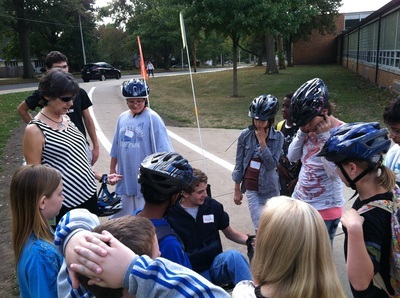 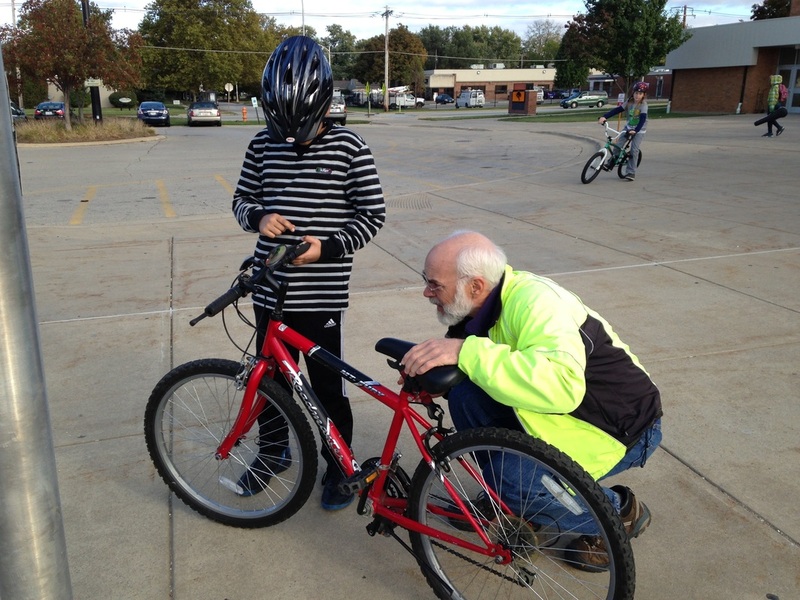 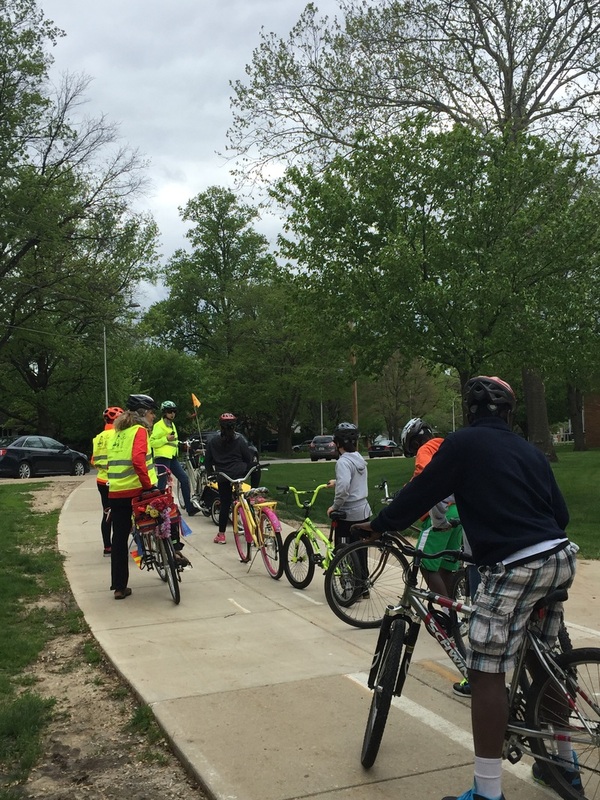 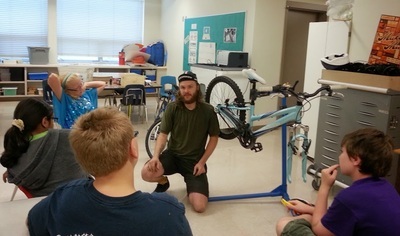 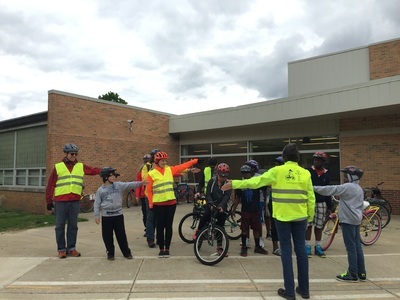 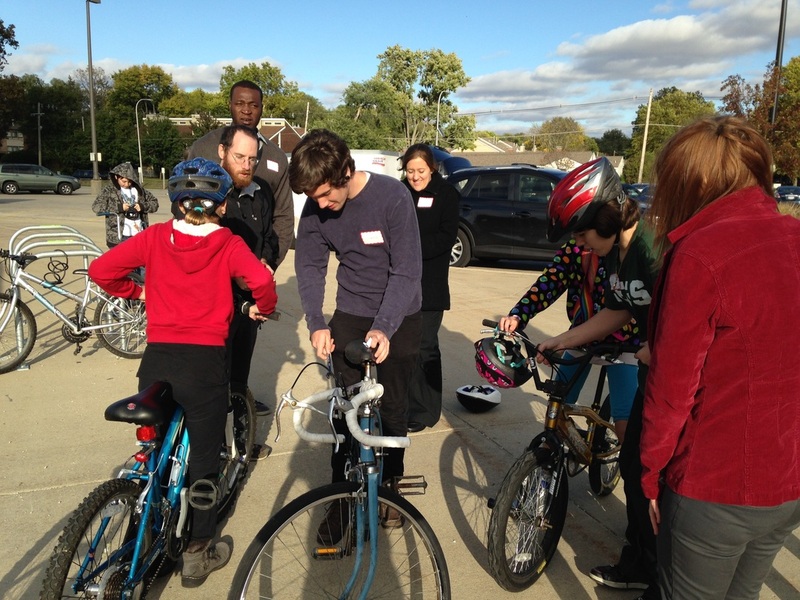 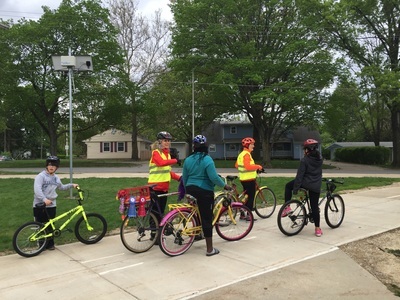 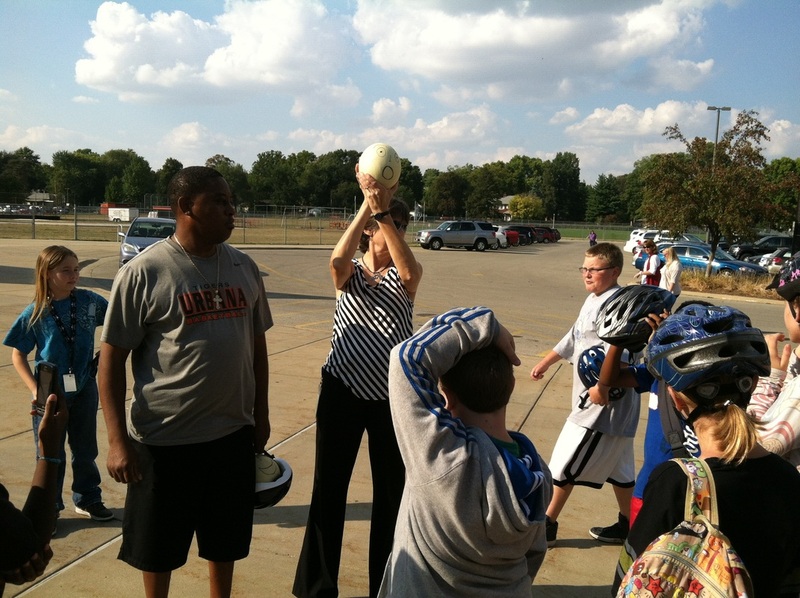 C-U SRTS Project gives ENORMOUS thanks to our many community partners and dedicated individuals who volunteered their time to help make our six-week SPLASH bicycle skills and safety class a SUCCESS! concludes with a group ride and hot cider! 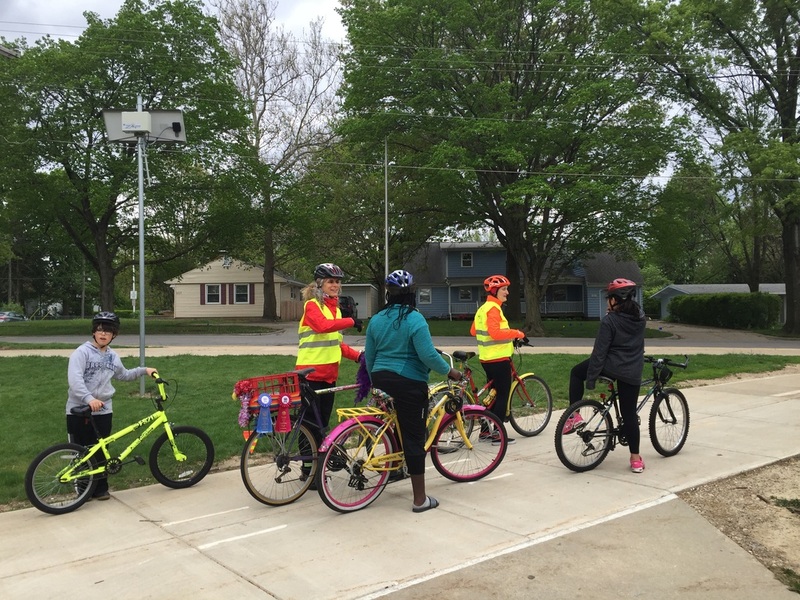 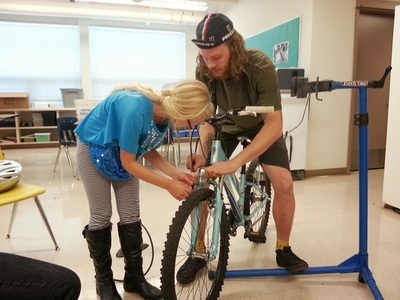 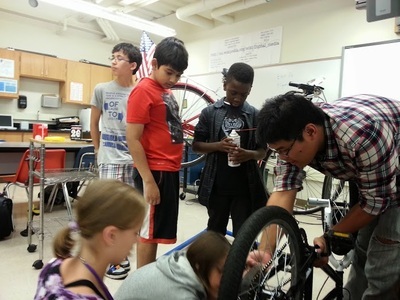 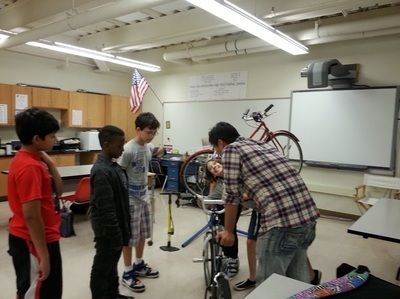 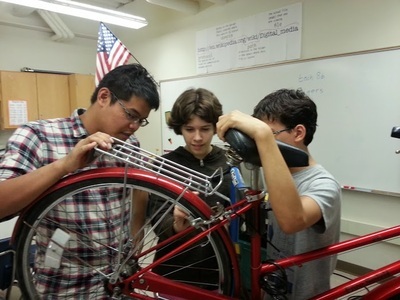 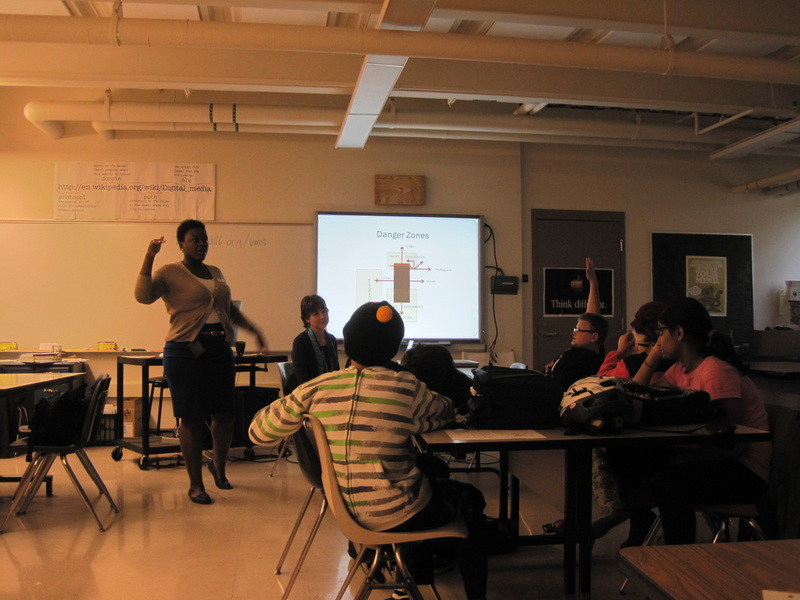 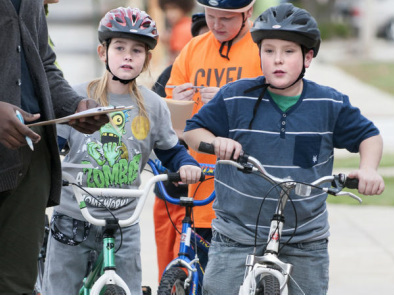 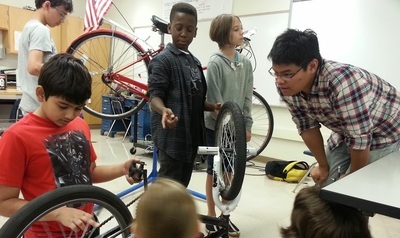 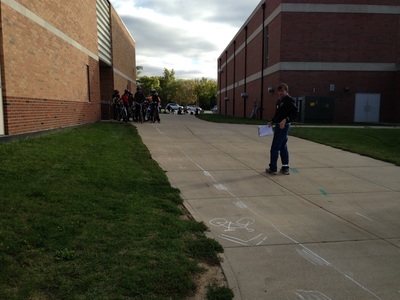 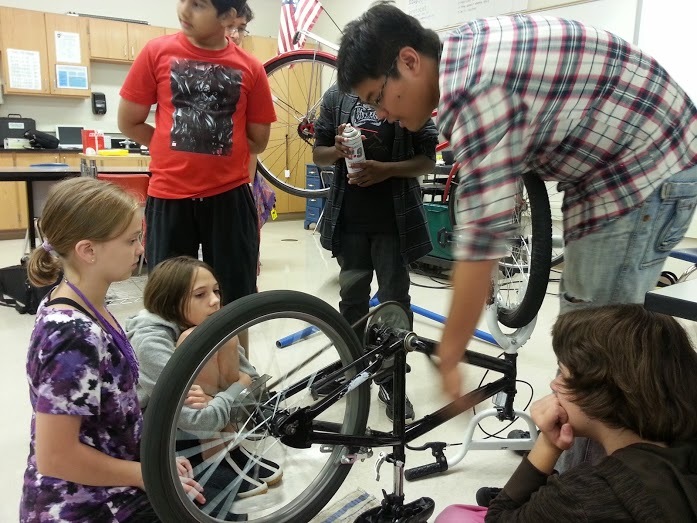 Three different routes allowed students to receive on-bike instruction in various neighborhood environments appropriate to their skill level. 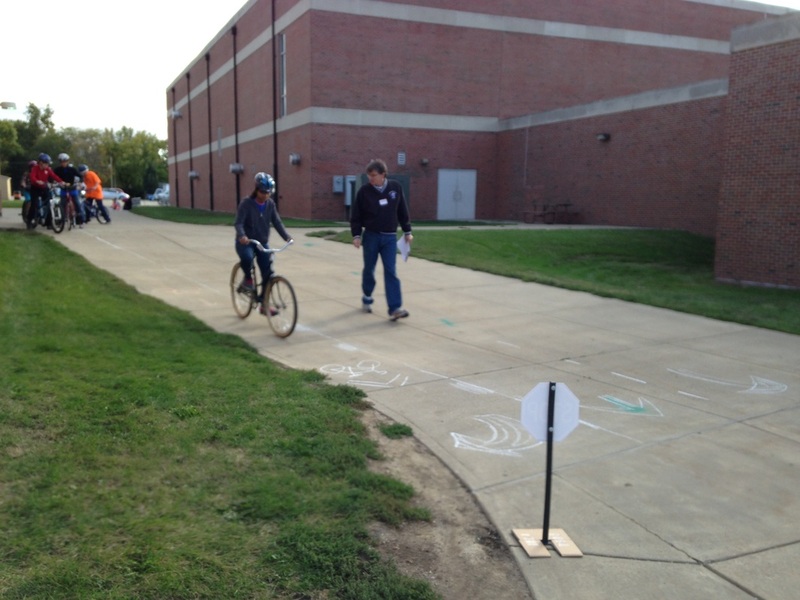 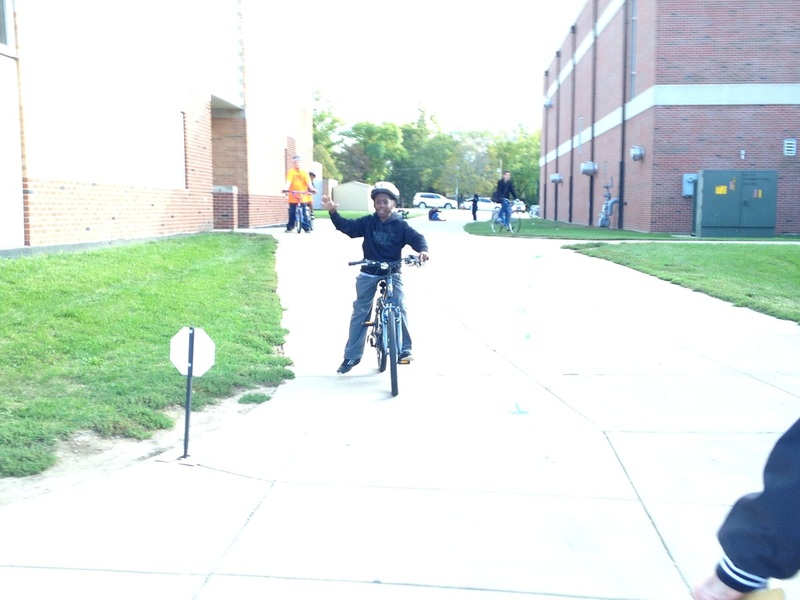 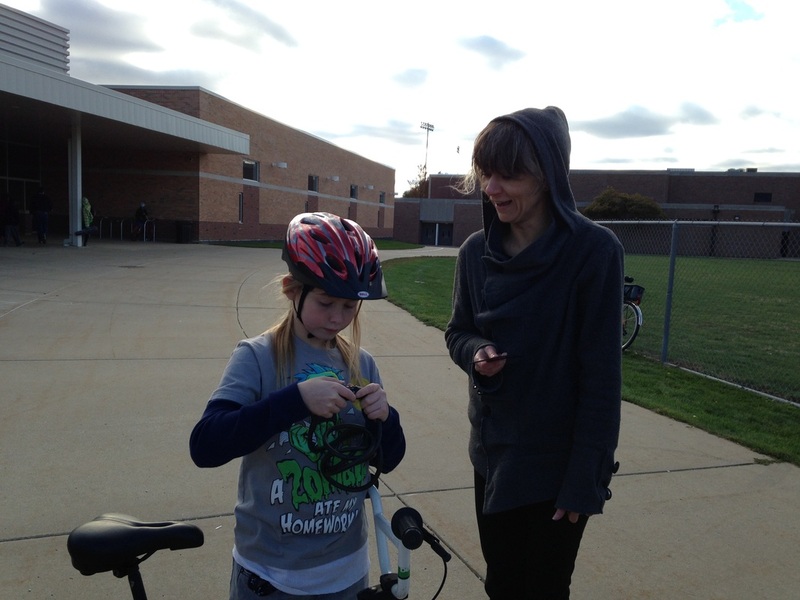 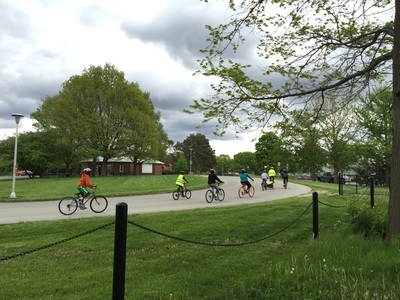 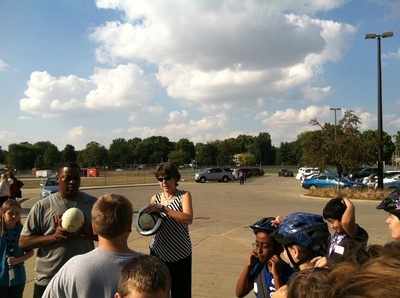 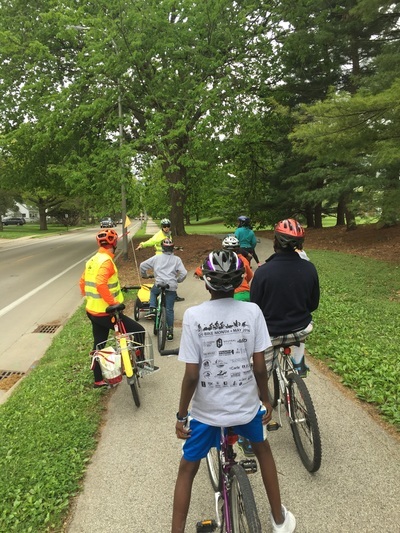 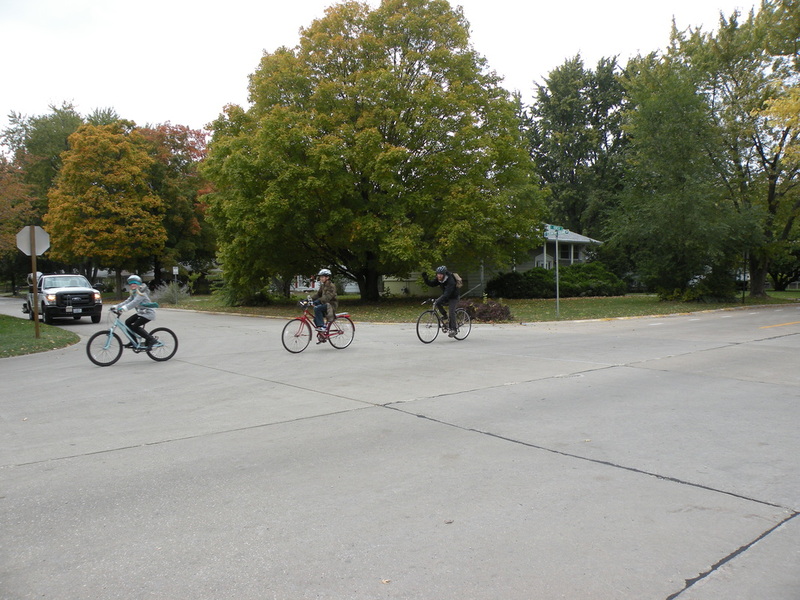 Here are some photos from the group that rode on the new bicycle infrastructure in east Urbana! 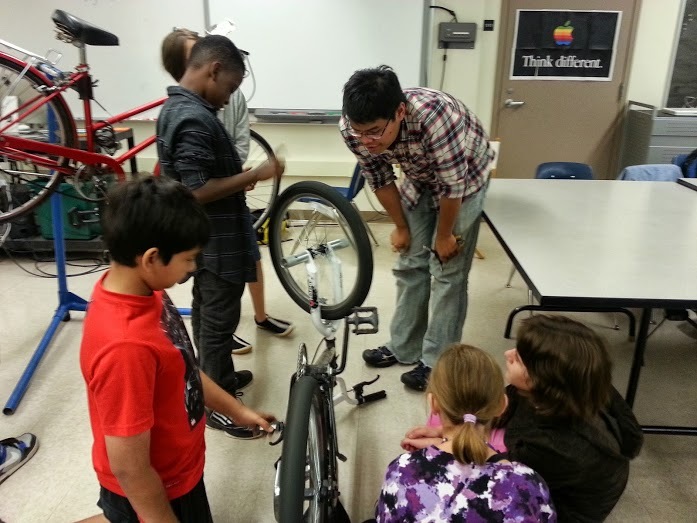 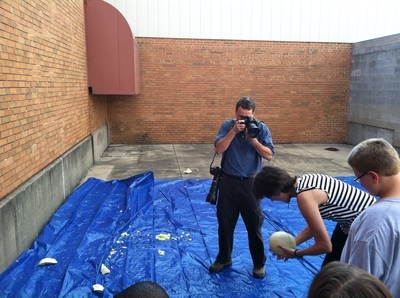 - How do we know how much air to put in our tires? - What is a good type of lock to use? - Where do you install bike lights on your bike? 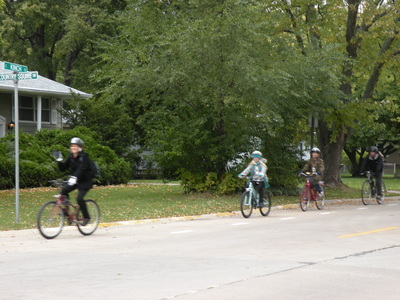 - What causes people to crash while on their bicycle? 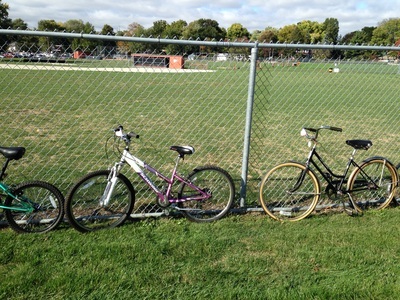 - Is the bike considered 'a vehicle' under the law? 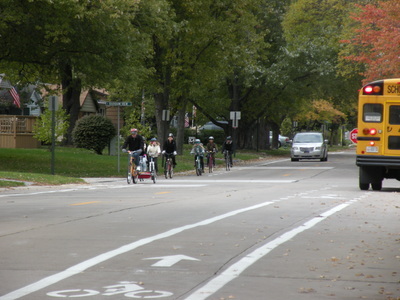 - Where should you ride your bike? - What are the rules of the road? - What are the legal hand signals for bicyclists? - How can I make sure cars see me if I am bicycling at night or in the winter? 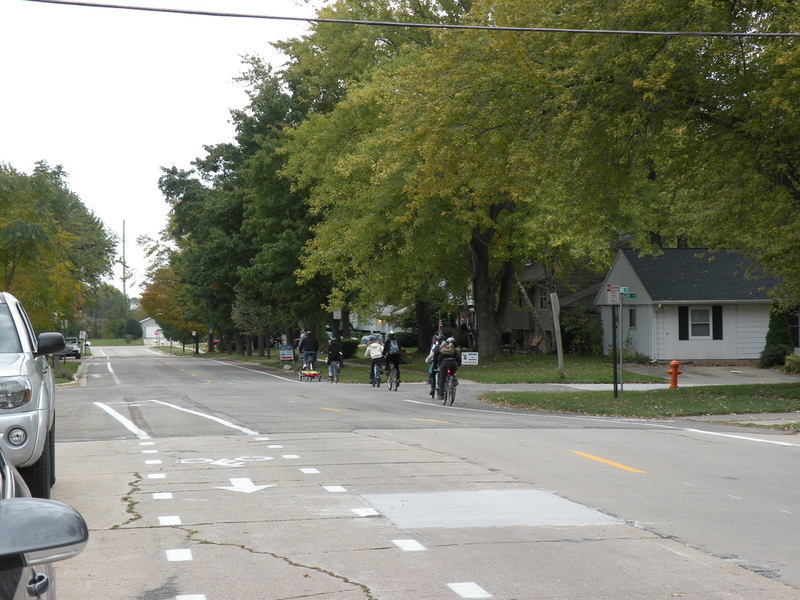 Where is the 'bus danger zone' or blind spots? 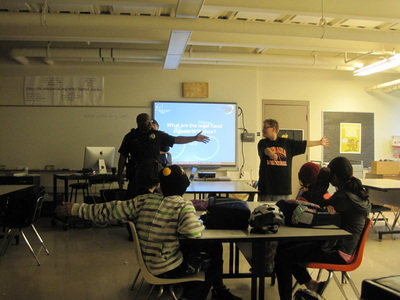 Special thanks to our guest speakers! - Sit in a recumbent bike! 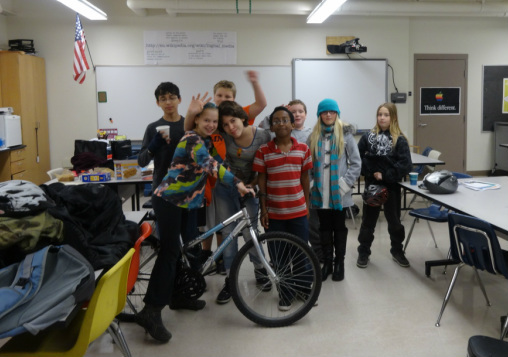 - What did the first bicycle look like and when was it invented? 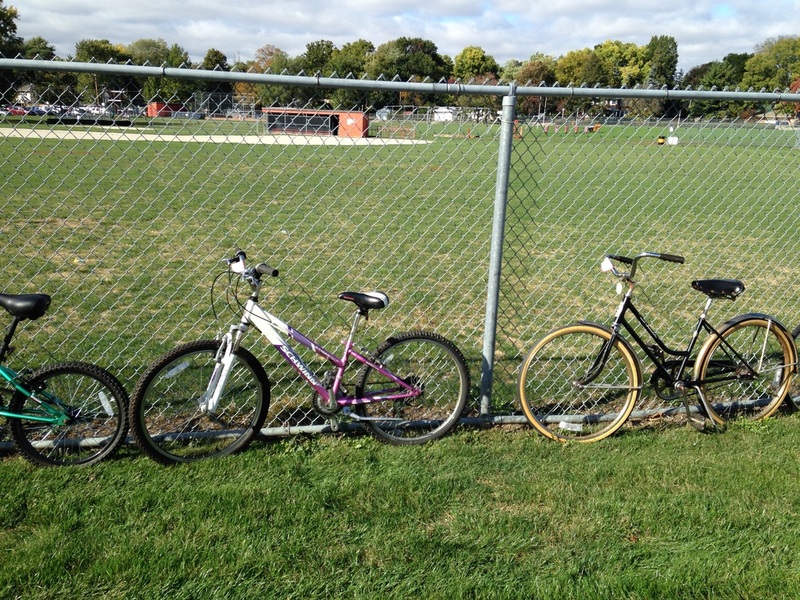 - How many types of bikes are in use today all over the world? - How many different parts of bikes can you name? - How do I determine if my bike fits me?